This is a story that I’ve been planning to write for quite a while. It’s also a story that I’ve been avoiding for quite a while. After three months, I decided it was finally time to tell the story of the day my son came into the world. If you would prefer to think that birth is rainbows and sunshine, then I suggest you keep moving – this story is far from that. However, if you’d like to know how labor went for me and what I learned, I recommend that you keep reading. This is just part 1 of the story. 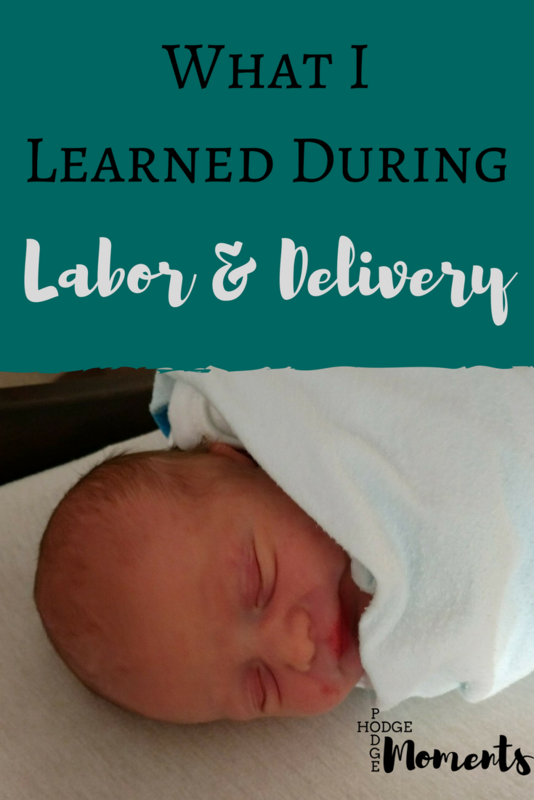 I knew that labor and delivery was a part of having a kid and I dreaded it from day one. There were several times during my pregnancy that I would think about what was to come and simply hope for the best. I’d heard the stories – good and bad – and I simply wasn’t sure that I wanted my own version to tell. Of course I ended up with my own story to tell and it is vastly different than what I expected. Before we jump into the story of February 5, let me confess something. I never created a birth plan. Every site, app, and article I read told me that I needed to have a clear birth plan for the big day. I also needed to communicate this plan with my doctors and my support system. My only “birth plan” was to do what was necessary for my health and the health of my baby. I was afraid of a C-section and expressed this, but if it was necessary, then that’s what I would have done (I’ve never had major surgery before). Now that we have that tidbit out of the way, let’s get on to the story at hand. The story of Baby Fox starts on February 2 at my last OB appointment. My husband had to work and my parents were in town, so I took Mom with me instead. The doctor checked all of the normal vitals and then informed me that we could go ahead and schedule an induction the following week if I wanted to. One of the things I wanted was for Baby Fox to determine his birthday if at all possible. I was just under 39 weeks along and there was no medical necessity for an induction so I told him we’d wait and make that decision at the next appointment (so, the following week). We never made it to that appointment. In fact, we wouldn’t have made it to an induction date if we had set one. Baby Fox decided that his birthday would be February 5 and he arrived in a way that I never could have predicted. I had read plenty of tips, tricks, and signs to look for during my pregnancy. There were often statistics listed with all of the information, so I had started to form several ideas of how it might go in my head and how everyone might react. Of course, the real story is much more memorable than any of the ones I created in my head. On February 5th, I found myself sleeping on the living room couch once again out of a desire to get comfortable. I woke at 5 am for a bathroom break. This was nothing out of the ordinary – pregnancy had brought frequent needs to visit the bathroom. Middle of the night wakings were nothing unusual. When I finished going to the bathroom, I felt a small trickle of something. I couldn’t decide if it was pee (yes, I peed my pants a lot during pregnancy) or my water breaking. I ended up deciding that it was probably pee and went back to sleep. I still had this feeling that it might be more but sleep won out. At 8am, I found myself up again (frequent bathroom visits, remember?). I made it to the bedroom before I felt a gush of water in my pants. I managed to get them changed and a pad put on (still felt like I was leaking) before I woke my husband and my mom. Hon, you need to get up was met with a very cranky and sleepy why. He quickly pulled himself together when I told him the baby was coming today. As for my mom, I know that she likes to have a shower before she goes anywhere. So, I entered her room and said “It’s time to get up and get your shower.” This was met with why and finally more action when she realized what was happening. It took us about 20 minutes to get ready to leave the house. Even though my water had already broke and the hospital was 40 minutes away, I didn’t feel a need to rush. We set the dogs up with their kongs, grabbed the last minute bag items, and headed to the hospital in two separate cars. We made good time getting to the hospital. The most annoying part of this whole part was feeling like I was constantly leaking something. When we got to the hospital, they immediately made me get in a wheelchair. I refused to let them wheel me up to Labor & Delivery until my husband came in from parking the car though. I wanted him with me through it all. Once he was with us, security wheeled me up to triage in Labor & Delivery. On the way, he commented on how calm I was during it all. If I had known what was coming, I might not have been so calm. My belief was that my body is made for this and will know what to do. We went to triage where they examined me and confirmed that I was going to be having a baby today. They also asked all sorts of questions – drugs, alcohol, abuse, etc. I remember wondering if a woman would honestly answer the question “Do you feel safe at home?” with her partner right there if she didn’t feel safe. After they took care of insurance, questions, and getting me into a hospital gown, we walked over to the first room on the floor, which would be my room for the next two days. At this point, they started me on Pitocin (since my body hadn’t started contractions on its own), checked my blood sugar, and hooked me up to the IV. There was also a monitor for baby activity and my pulse which was running high at this point. I spent the next few hours breathing through contractions until I couldn’t take the pain anymore and opted for an epidural. They inserted the epidural and one half of my body started to feel numb – just one half. I brought this up and they had me turn to my side which led to me feeling more pressure and the nurse told me that meant it was time to push. So, we started the pushing process – with my husband and the nurse coaching me through the contractions and when to push. The doctor was called in and things started to escalate quickly. This is also where my memory starts to get a little fuzzy because there was so much going on around me. My pulse was incredibly high (to the point my doctor was concerned), I was having trouble breathing through the pushing (thank you weak lungs), and there were people all around telling me to push, relax, etc. The pushing was honestly the worst part of the whole ordeal. During the entire delivery process, I could see my doctor eyeing my pulse and eyeing the tools near him. I could tell he didn’t want to make a tough decision, but my pulse left him with few choices. He informed me that he’d have to cut in order to help the baby get out. I was already starting to tear anyways (and with my epidural not working properly, I was feeling all of it) and my pulse had him concerned. So, with a snip and a few more pushes, my son came into the world a little after 6pm. Baby Fox entered the world peeing all over the doctor before they placed him on my chest. Then, he peed all over the nurse who was waiting to check him out while the doctor sewed me back up. At the time, I didn’t realize how bad the tear was but later I would be informed that it was a third degree tear. I had stitches inside and outside. Tearing was something I hadn’t considered in my earlier fears. All in all, labor and delivery went much different than I expected. They say that it’s a pain you’ll forget. So far, I haven’t forgotten the pain and I don’t think I ever will. Cuddling my son makes it all worth it though. 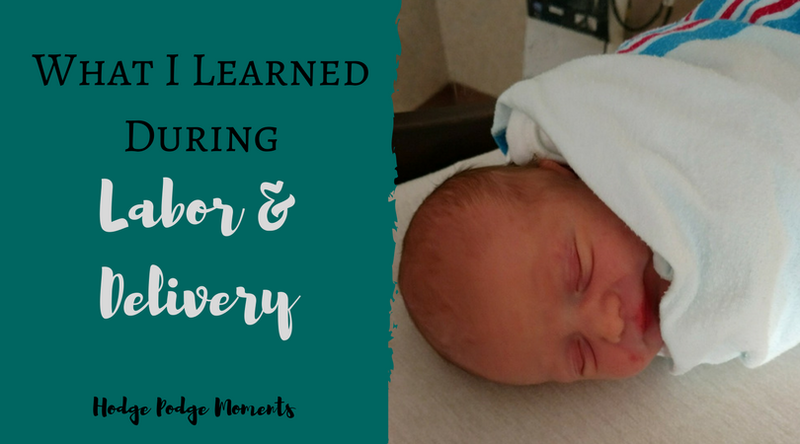 So, what did I learn during labor and delivery? 1. You don’t need an elaborate birth plan. 3. Epidurals don’t work for everyone. 4. It’s not a pain that you forget. It’s simply a pain that’s worth it. 5. There are no words to properly describe the pain. 6. I should have done more exercises to help my pelvic region. 8. Nothing will go as you envisioned. 9. Everyone in the room disappears at some point during the pushing phase. I’ll be sharing the rest of the story in the near future with my experience and tips for postpartum recovery.